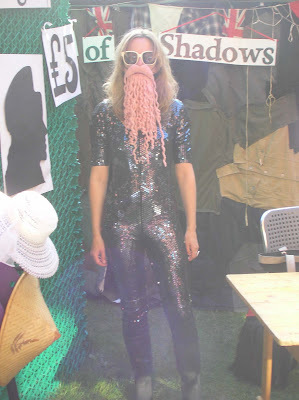 Until we presented Prick Your Finger's House of Shadows Silhouette Portrait stall at the V&A village fete this weekend, we had no idea how much the great British Public worried about the length of their noses. 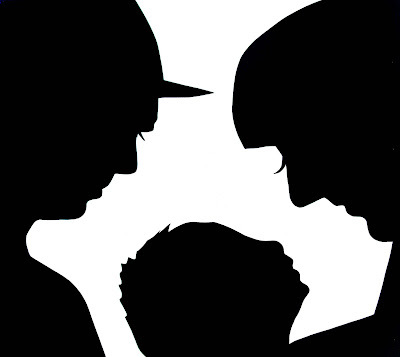 We have proved that however big, bent or flat your nose is, a silhouette portrait looks charming. Silhouettes are easy to make at home. 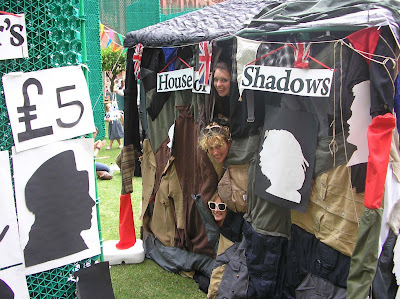 We made a dark tent out of old coats, but you could use a darkened room. Inside, was a chair for the artist and a chair for the sitter. There was a light behind the sitter and a screen, covered with white paper in front of the artist. We traced around the shadow on the white paper, which took less that a minute, and then cut the image out in black paper. Congratulations to Mr and Mrs Higgins silhouetted above, who brought their 13 day old baby daughter along for a portrait. More silhouette portraits, will be up on our events page soon. The House of Shadows will be back! It is for hire for Weddings, fete's etc, just like they used to be in the old days! UNTIL WE MEET AGAIN. GOODBYE ORKNEY!